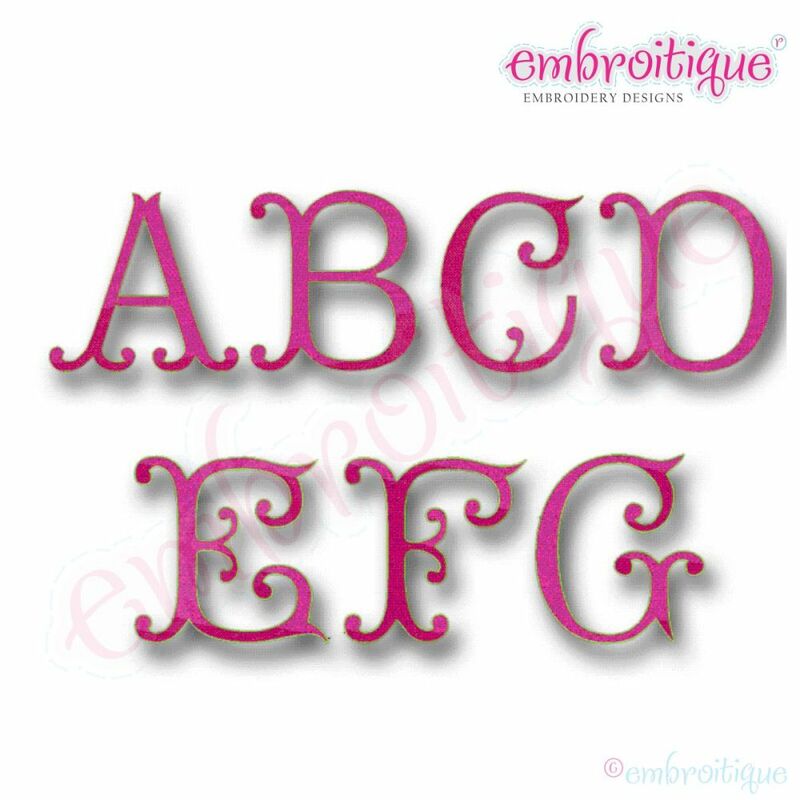 This font includes upper and lowercase satin stitch letters in 1” and 1.5" sizes. Upper and lowercase outlined patterned fill stitch letters are in 2" and 4.75". 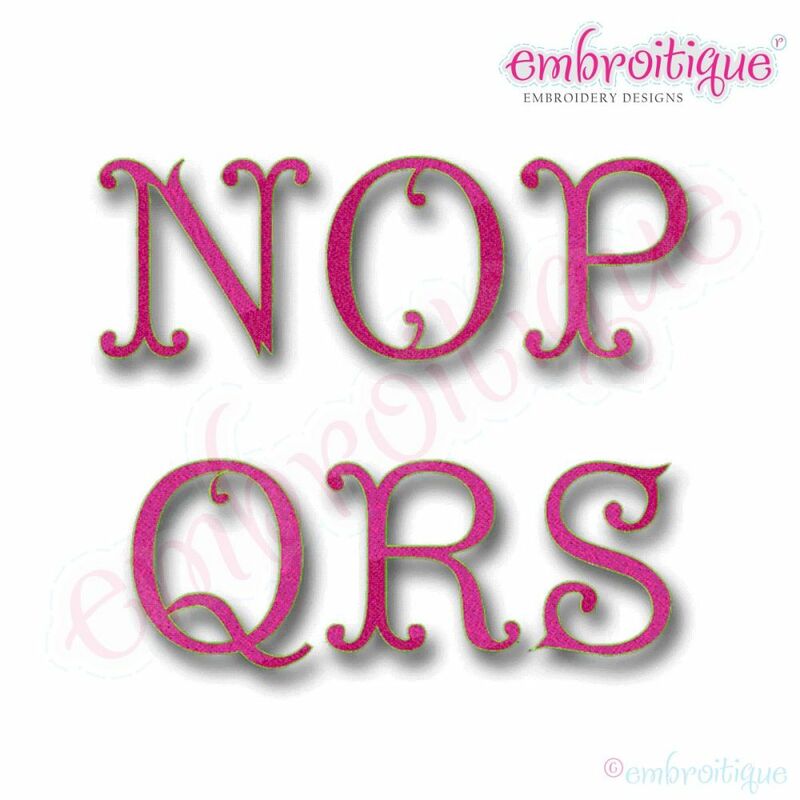 This font includes upper and lowercase satin stitch letters in 1” and 1.5" sizes. Upper and lowercase outlined patterned fill stitch letters are in 2" and 4.75". Middle Bro Applique - 4 Sizes! Leather and Lacey Bat Applique - 3 Sizes!